Sick building syndrome (SBS) is defined by the EPA as “situations in which building occupants experience acute health and comfort effects that appear to be linked to time spent in a building, but no specific illness or cause can be identified.”1 But where did this term come from? Several sources point to a World Health Organization (WHO) meeting in 1982 that created a working definition. It would have been cool to be at that meeting, although I was only 8-years-old at the time and badly addicted to Star Wars. 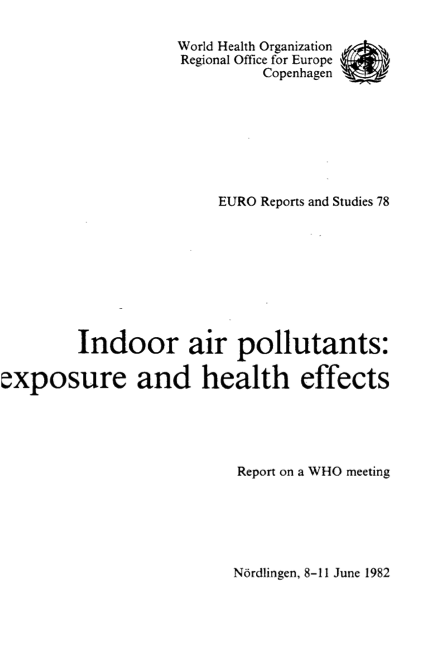 In 1983, a report was published from that meeting. I’ve been trying to get my hands on it for a long time, but it’s not available online or at any local library. When working on updating a class, I thought I would give it another search. Just yesterday I actually found it on what appears to be a Brazilian website! I knew I should have taken Portugese in high school. 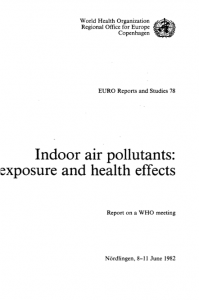 So for you faithful Indoor Air Nerd fans out there who like a little history, I’m sharing the link to this document: Indoor Air Pollutants: exposure and health effects. Click on the PDF icon labeled “Texto completo” to download it. After you open it up, you’ll want to go to page 23 (the 27th page of the PDF). There you’ll find a historical perspective on sick building syndrome. Don’t worry, it’s in English. As an Indoor Air Nerd, I get excited about these things! Have a historical weekend!